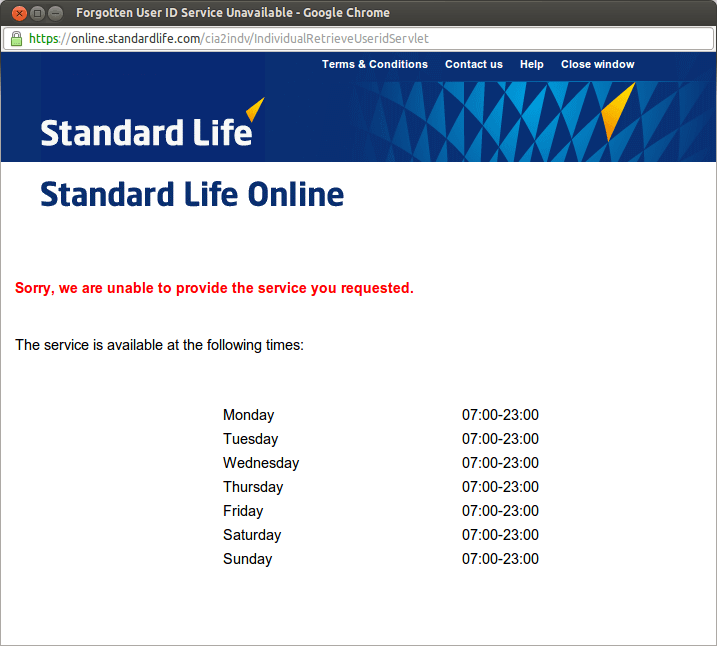 In this day and age where everything is on the internet for convenience so you can access your information, money, data, whatever 24x7 I stumbled upon the fact that parts of the Standard Life website have working hours. Huh!? How can something so simple and easily automated have working hours? The same thing applies for the registration page. I think someone at Standard Life hasn't quite worked out this whole 24x7 internet convenience thing.